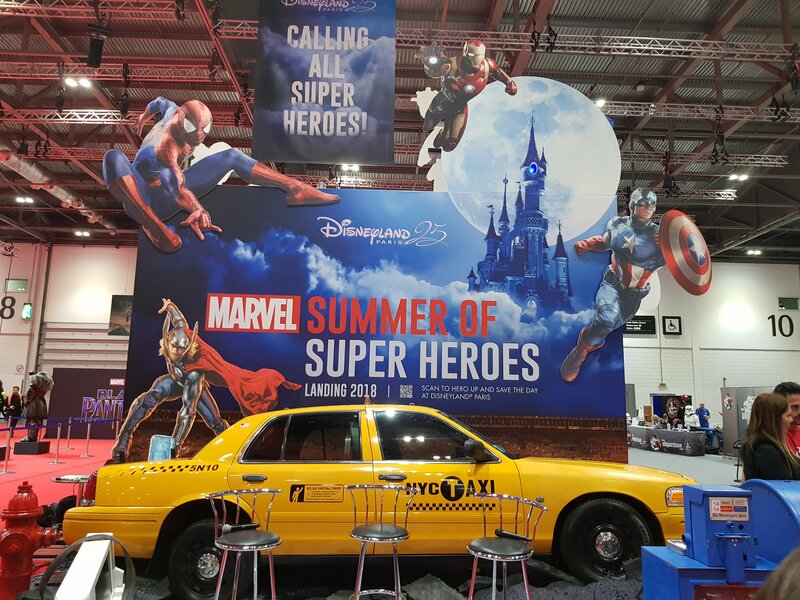 Marvel Super Heroes to descend upon Disneyland Paris next summer. 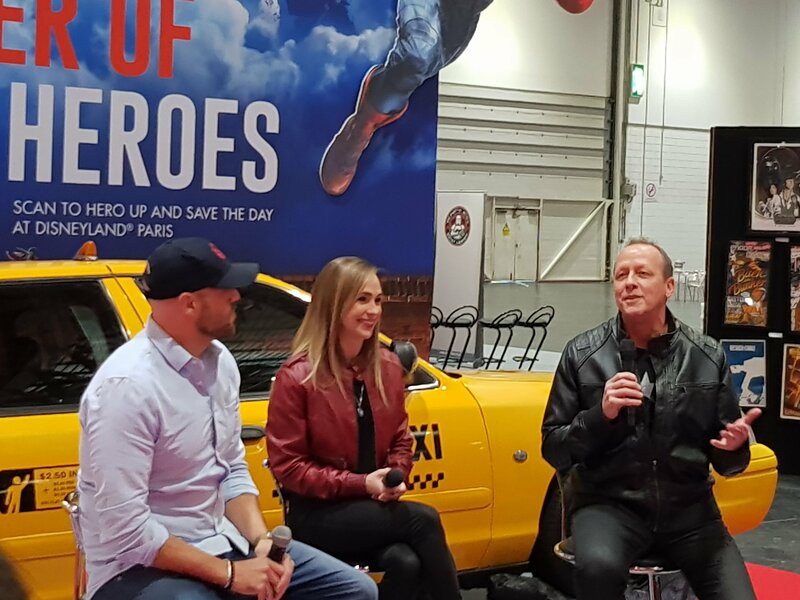 This morning at the MCM London Comic Con being held at the ExCel exhibition centre in London, Davd Bushore, Vice President Franchise Creative and Marketing for Marvel Studios, and Mark Huffman, Creative Director of Disneyland Paris, announced that the Marvel Super Heroes are coming to Disneyland Paris during the summer of 2018. 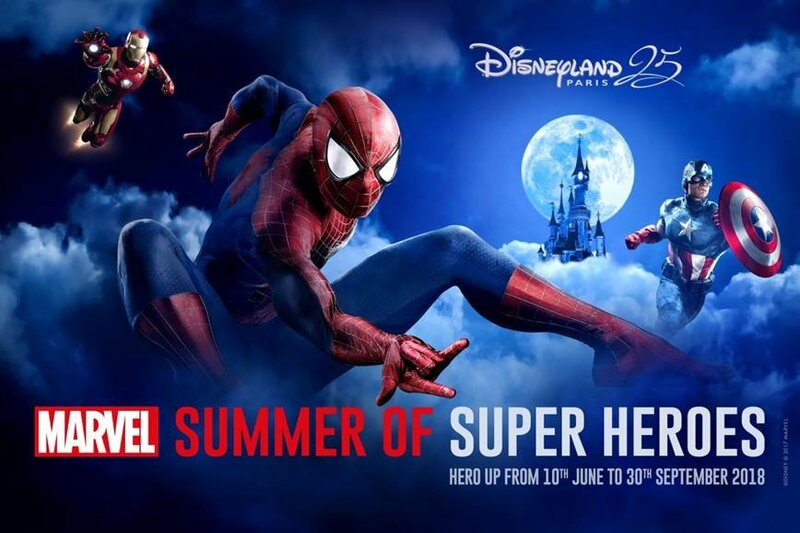 Iron Man, Thor, Captain America, Spider-Man, Star-Lord and Black Widow will appear for the first time exclusively at Disneyland Paris at the Walt Disney Studios Park from 10 June 2018 to 30 September 2018 in a special Marvel Summer of Super Heroes season. The Marvel Super Heroes will feature in the Walt Disney Studios Park for exciting meet & greets and breathtaking, epic shows. But that’s not all for Marvel fans at Disneyland Paris, from October 2018 Disney’s Hotel New York will be closed and re-imagined into Disney’s Hotel New York – The Art of Marvel which will transport guests to the action-packed, inspiring world of Super Heroes including Iron Man, The Avengers, and Spider Man among others. The hotel will open in 2020. 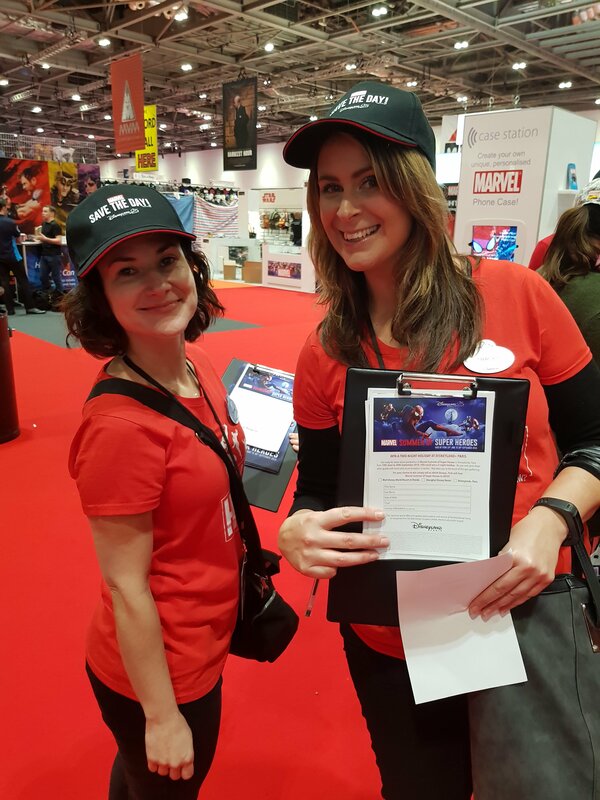 If your visiting the MCM London Comic Con this weekend don’t forget to pop along to the Disneyland Paris stand for your chance to win a two night holiday at the resort. Don’t miss Marvel Summer of Super Heroes and join some of your favorite characters at Walt Disney Studios Park. It will be THE big event of 2018 and will close out what has already been an unbelievable celebration of Disneyland Paris’ 25th Anniversary. 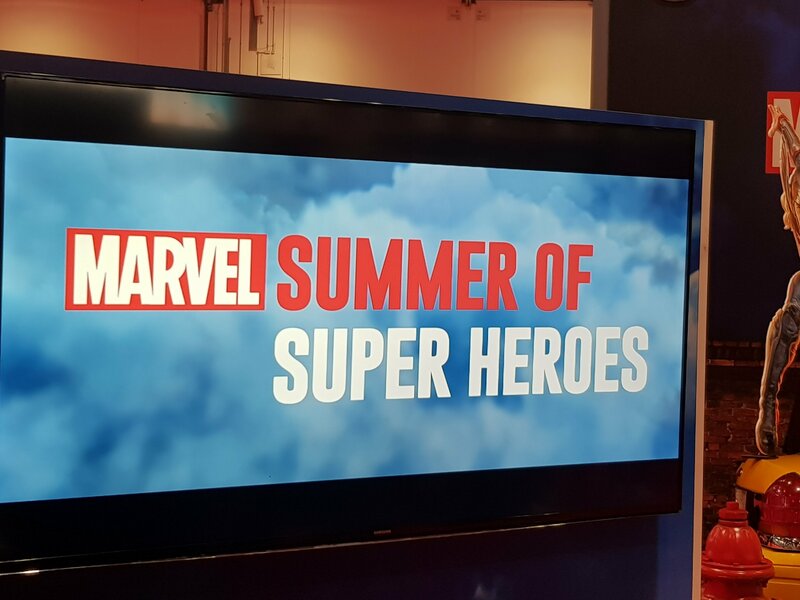 Stay tuned for more updates on Marvel Summer of Super Heroes. Disney FanDaze Bloggers Event – Welcome Cocktail Reception. On Saturday Duffy and I had the honour of being invited along with 60 other bloggers to the Disney FanDaze Bloggers Event that was hosted by Disneyland Paris. I took quite a few photos of the evening so I’m splitting the report into sections. The event commenced at 8:30 PM at the Walt Disney Studios Park but before it started we had to collect our credentials. The evening started with a short walk through the Walt Disney Studios Park which is illuminated beautifully at night to a Welcome Cocktail Reception being held in the Art of Animation building in the Toon Studio section of the park. Once inside the Art of Animation we were greeted by Goofy, Daisy, ShellieMay, Minne, Mickey, Duffy (the bigger one), Donald and Pluto who were all posing for a photo-shoot and dancing. Mickey and the gang then circulated around the room so we could meet them and take photographs. Duffy headed straight to the bar for a cocktail and to met a few of the other bloggers in attendance for chat. Following the drinks reception we all made our way towards Studio 1 for Dinner and the highlight of the evening the Disney FanDaze Presentation. Below is the latest press release from Disneyland Paris giving more information about the Disney FanDaze Inaugural Party which will be held between Friday 1 – Sunday 3 June 2018, at the Walt Disney Studios Park. Prices for the Disney FanDaze event will be announced soon. Walt Disney Studios Park will open its gates exclusively for fans during the Disney FanDaze Inaugural Party. From an epic 13-floor plunge on the Twilight Zone Tower of Terror to being shrunk down to the size of a rat in Ratatouille: The Ride, this is a privatised evening no fan will ever forget.